Many Singaporeans are attracted to the idea of dividend investing, especially as a way to generate passive income year-after-year with minimal effort. We typically refer to them as dividend investors. Many of them chase after stocks yielding high dividends, especially when the rates are much higher than the interest offered by your bank or fixed deposits. It is easy to see why. Imagine if you bought 50,000 shares of Rickmers Maritime at $0.205 for a total of $10,250 (excluding brokerage fees). At a dividend yield of 14.3%, you would be getting $1,466 back every year - within 7 years of holding the stock, you would have earned back the cost of your investment from just the dividends alone. In other words, you would "break even" after the 7th year, as every yearly dividend payout thereafter would be pure profit in your pockets. I have to admit, I NEARLY bought into Rickmers Maritime back then as well (thank goodness I remained rational). Well, guess what? Rickmers Maritime has since suspended dividends. Some of you might already be following my friend's High Dividend Stock Tracker here, keeping an eye out for stocks which are yielding high dividends given current prices. While I love this stock tracker, I wanted to caution on the dangers of using this purely to make your investment decisions. Similarly, my friend Kyith, who runs the tracker, does not make his investing decisions based purely on the dividend yield of the stock, so neither should you. If you're interested to know more on what goes into his decision-making process, he has plenty of posts evaluating specific stock counters. If you find his posts a little too technical to digest, you can check out my analysis behind Keppel DC REIT here instead. Unfortunately, in my recent conversations with some friends and readers, I've come to realize that too many Singaporeans are using this criteria to decide on which stock to buy. For instance, I've received a lot of questions regarding oil stocks lately. Given the current oil crisis with plummeting oil prices that show no signs of easing out yet, many are viewing the current situation through rose-tinted glasses, believing that the current market selldown provides a golden opportunity to buy oil stocks for cheap. It is an open secret that the oil industry is an extremely lucrative one - just ask your friends working there about the bonuses they receive! Furthermore, it wasn't that long ago when oil prices were over $100 per barrel. In Singapore and on the SGX, Keppel Corporation is currently the largest oil company, with Sembcorp Marine as its closest competitor. Just 7 months ago and at the start of the oil crisis, Keppel was trading at $8.13 with its historical dividend yield at 5.9% (based on its annual dividend of $0.48 per share in 2014). This got plenty of investors talking, and I know of people who bought in. 5.9% is high when you compare to The Straits Times Index's average of 2.8% - in other words, the 30 biggest companies listed in Singapore was giving an average of $2.80 for every $100 that you invested, whereas Keppel alone was giving its shareholders more than twice of that. 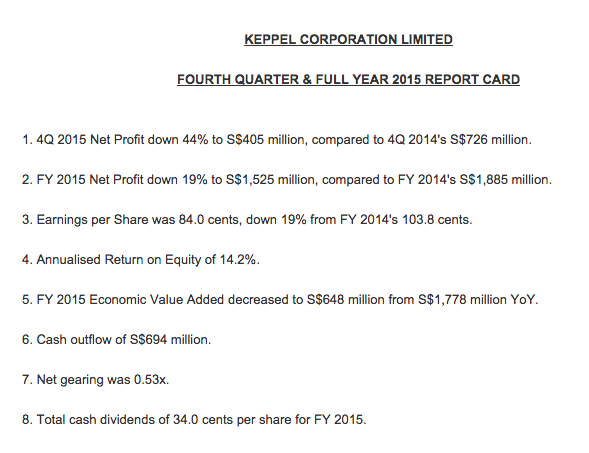 If you invested $10,000 into Keppel then (1,230 shares), you would be looking at potential payouts of $590 every year. Let's take a look at Keppel today. If you had invested $10,000 into Keppel in July, based on its attractive dividend yield, your portfolio holdings for Keppel would be worth only $5,904 today. In other words, you would have lost over $4,000 in the last 6 months. Imaginary SG investor: Wah! Keppel has now become even cheaper! If I buy today, this batch will give me 10% in dividends! The P/E ratio is so low too - I can most certainly hold for more than 5 years to see its earnings match up! The market cap at over 9 billion is reassuring...I think it will be highly unlikely for such a large conglomerate to go bust. Okay, let me put another $10,000 into Keppel! I may be exaggerating a little for comic effect, but I assure you that this is the same conversation that has happened in the minds of many investors locally - including myself. Averaging down is a great strategy when the stock eventually rebounds as it magnifies your gains, but many people forget that if the stock price continues to slip, your losses are similarly magnified. The next problem is, there's no guarantee that you will be getting your projected dividend yields. If you had bought at $4.80 expecting a 10% dividend yield (based on historical payouts), welcome to the reality of 7.08% instead. As the oil crisis continues, there is little doubt that Keppel's earnings will continue to be hit, translating into a further decline in its stock price, and a high possibility of further reductions in dividend payouts as the company tries to keep itself afloat. When this happens, you'll be looking at both capital loss and dividend reductions. View #1: Woohoo, cheap stocks! Time to go shopping in the stock market! Danger: Could you end up catching a falling knife? View #2: I can't tell if prices will go up or down, so I will buy in at different points and slowly average down. Danger: You'll incur a lot of brokerage fees, depending on how much and how often you buy. Also, you might run out of cash quickly enough. There's also a possibility of the company being a falling knife. View #3: I will buy when the STI goes below 2500 points! Danger: What happens if it continues to fall even lower? You'll be risking high capital losses then. View #4: Stock markets are scary and free-falling now. I will wait until there's a rebound before I buy in. Danger: The rebound might be so sharp and rapid that you completely miss the opportunity to buy cheap. 1. Hold onto cash. Cash is king now. 2. Work hard at your job. You really don't want to lose your job in today's economic climate. 3. Focus on the company's fundamentals and make sure you conduct an in-depth analysis before you buy any counter. Try not to get sidetracked by the dividend yields. I know I've said it repeatedly in previous posts and I'm nagging again, but this point is crucial. Best of luck navigating the bear market. Good advice! There are always risks in many decisions we made in our life. The more we experience n expose, and fail, the better or wiser the decisions we made next time. I like point 2 of urs. Work diligently n more importantly focus on the right things in life that truly matters to u, which we may neglect at times! Some decisions are painful! But at least we grow from them. Or do your homework and find out how much dividend is sustainable, work backwards on your acceptable yield on the risk you took, then decide what price to enter. 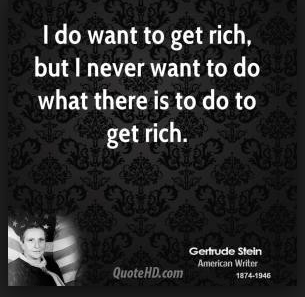 Passive income? Yeah, only after you already recovered all the costs. What? There's also opportunity costs? Looks like there will never be a true "zero" cost. Good points! Thanks so much for these thought-provoking questions WJ! What methods do you use to derive those calculations? Budget Babe, one of the advice would be to read up on the company's dividend policies. 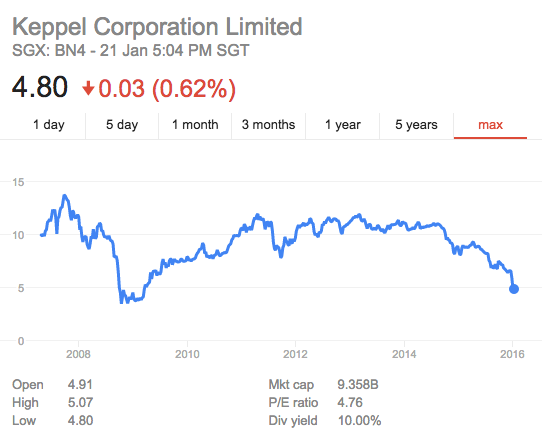 Keppel Corp is an example - it pays out according a certain proportion of its earnings. Analysts have already forecasted lower earnings for 2016 up to 2019 therefore its dividend policy will require a reduction in dividends. The other thing to note is that dividend yield is always trailing - a stock with high dividends generally means its price has fallen and that usually means expectation of a reduction in the dividend. For trust, it is not a must to pay dividend/distribution ,unlike REITS which need to distribute at least 90% of their income to enjoy tax benefits. Thanks for highlighting these two! Good reminder. Investing based purely on nominal dividend yields is like driving a car by looking purely into the rear-view mirror. Which company give good dividend year after year and trading at under book value at the moment. Keppel corp and sembcorp industrial. While I concur that one should not purely look at dividend yield, I have to disagree with your advice that cash is king. The current bear market presents opportunity for long term investors to pick up bargain counters. 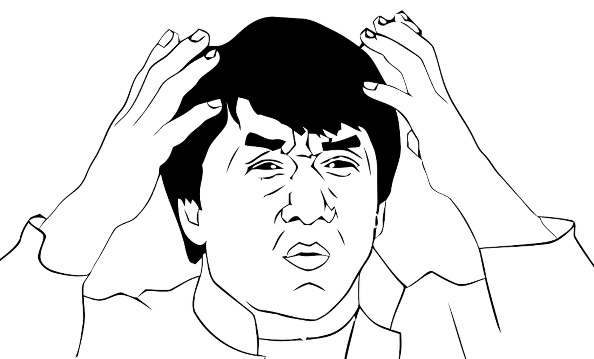 The last time I remember hearing the phase "cash is king" was during the 2008 GFC. Those who were chicken-hearted then would have missed out on a great opportunity. If you don't buy stocks when they are cheap, when do you buy? I agree with you that it is best to buy stocks when they are cheap. But the reason why I said cash is king now is because I don't think the worst is over yet, nor have we reached the bottom. Good reminder post on the danger falling to dividend yields trap. Investing in ourselves by continuous learning and learning to do in-depth reviews of company fundamentals are then long term goals. Did you know that you can shorten your long urls with AdFly and make money for every visitor to your shortened links. True if it's for short term investing, but for long term investing it usually average out the losses and in turn to profits over the years in addition with dividend return so I wouldn't say it's bad to go for it if you will keep it for long term.